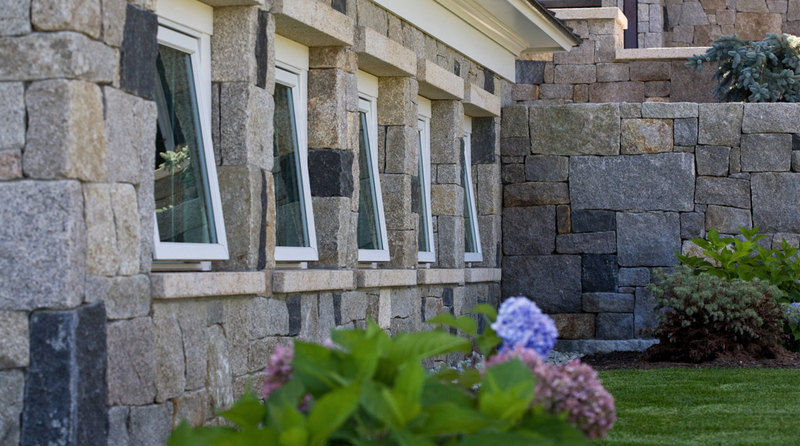 Expert blending of granite veneer, architectural cut stone and landscape elements allows ample window area for light and air, while still looking natural and traditional. 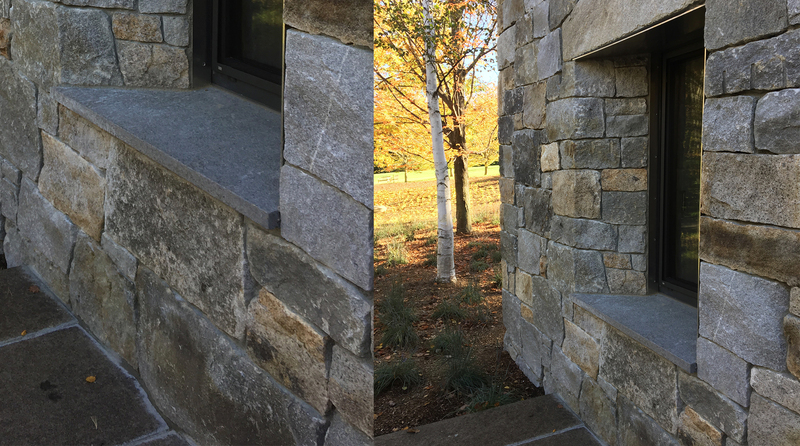 Using natural granite veneer, the cement exterior of this energy-efficient 21st century building is transformed into a traditional New England barn. 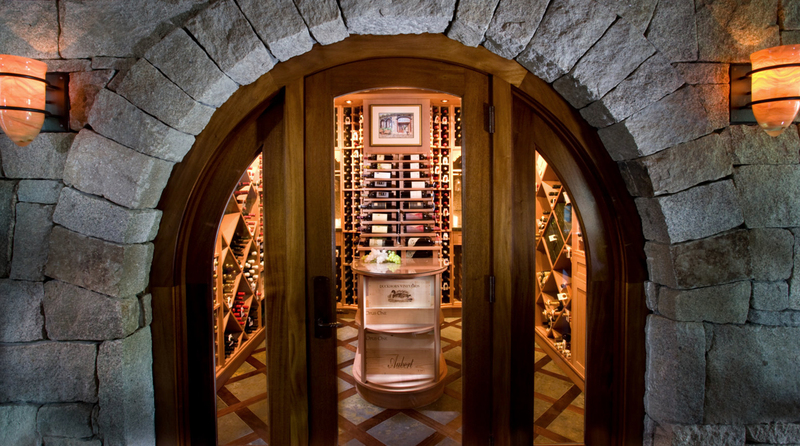 An arch entry of Old York granite is the perfect frame for a showplace wine cellar, complementing the English-style pub room next to it. 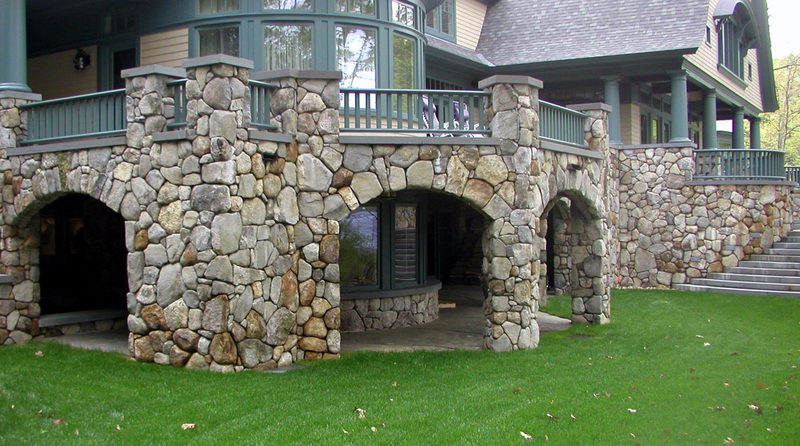 Rounded fieldstones offer a transitional link between this lake home and the land it nestles against, coordinating with the surrounding landscape. 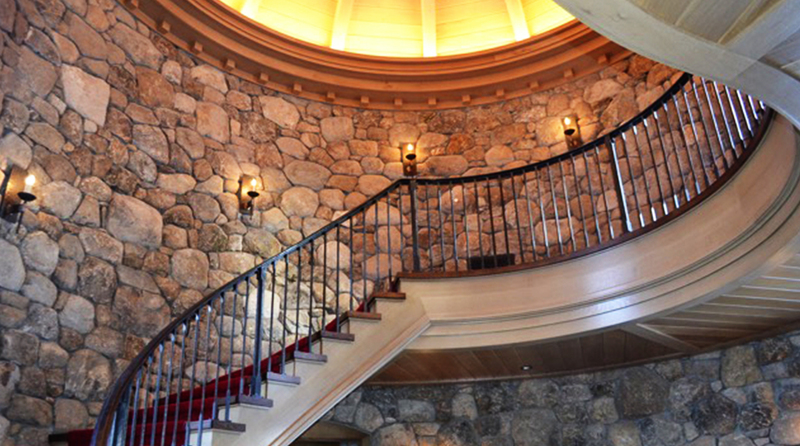 Rounded walls veneered in natural fieldstone reflect the golden lighting of this striking domed room for a luminous, mellow warmth. 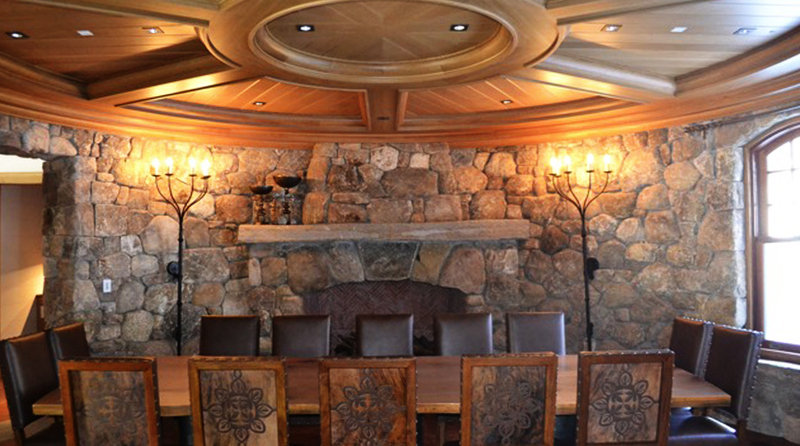 This curved fieldstone wall and its rugged hearth merge seamlessly with a round wooden ceiling to create a striking setting for anything from meals to meetings. 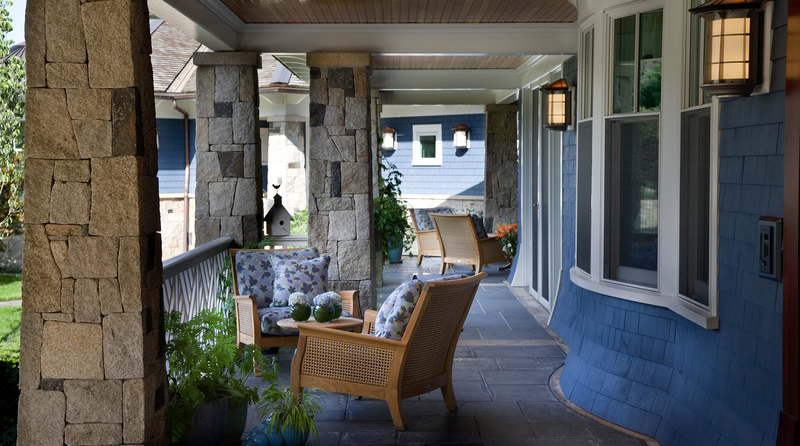 Veneers of Old York granite add contrast and texture to this porch, standing out while still complementing the vividly colored shingles and Old Gold granite paving.